Listening to some politicians, you would think that millionaires were some monolithic group that can be taxed at will. 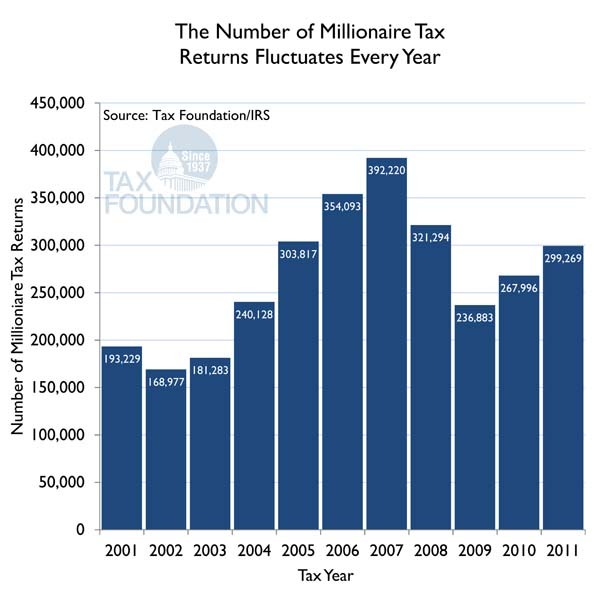 But IRS data clearly shows that the number of millionaire tax returns fluctuates wildly each year, largely due to changes in the business cycle. Indeed, between 2002 and 2007, the number of millionaire tax returns more than doubled to a record 392,220. However, due to the recession, the number of millionaire tax returns fell by 40 percent between 2007 and 2009, or more than 155,000. 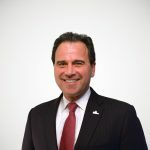 Moreover, the recession reduced the total amount of income reported on millionaire returns by 48 percent and the amount of income taxes they paid by 43 percent. For more charts like the one below, see the second edition of our chart book, Putting a Face on America's Tax Returns.